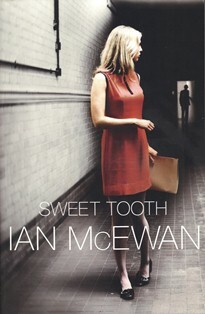 I felt like a literary detective reading Sweet Tooth by Ian McEwan. I was certain there was more to this book than meets the eye. I spent the entire book analysing every character, every conversation and every scene, looking for clues. But try as I might, I couldn’t figure out how it was going to end. Sweet Tooth tells the story of Serena Frome, a college graduate who joins Britain’s MI5 in the early 1970s, in the midst of the Cold War. Serena is sent on a secret mission and begins an affair with the subject of her undercover task. It took me a little while to get into this book – the story doesn’t really take off until around 80 pages in. I also didn’t know whether I would recommend it until about 20 pages to the end. However, as fans of Atonement will know, Ian McEwan knows how to write a good ending. After giving Atonement a five star rating, I’d award Sweet Tooth four stars. This is an extraordinary and complex love story, told with unusual craftsmanship. Love arises in beauty, desire, self-knowledge, intrigue, anxiety, betrayal, and ultimately, in the ability to inhabit the very thoughts and feelings of another person. And, let's face it, McEwan can write. I listened to the book on Audio, and was blown away by Juliet Stevenson's phrasing. Highly recommended.